The Journey to a New Life is a book of Revelation given by the Creator of all life to the human family through the Messenger Marshall Vian Summers. Life begins anew with the New Revelation. It is like a new lease on life. It is a new promise. It is a New Revelation from God, given now with the Great Love of the Creator, given now with deep compassion for humanity’s predicament, difficulties, troubled history and destructive tendencies and so forth. 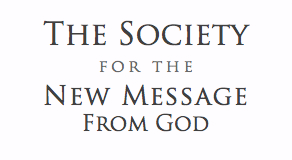 The New Message from God is a gift to all of humanity. It is here to warn humanity of its two great challenges coming to the world: the challenge of the Great Waves of change and the challenge of contact with intelligent life in the universe. The power of Knowledge is within you. If Knowledge is at peace, you can be at peace. If Knowledge is not going anywhere, you do not need to go anywhere. God has sent a New Message into the world. It is a Revelation for this time and the times to come. For humanity is entering a very dangerous period, a period where the Great Waves of change will be coming to the world: environmental degradation; the depletion of your resources; the changing of your climate; violent weather; economic instability and the growing risk of competition, conflict and war. It is a time when humanity will be facing the reality of an Intervention from races from beyond the world who are here to take advantage of a weak and divided humanity. You carry within you the memory of your Ancient Home, deep beneath the surface of your mind, deep beneath the surface of that part of your mind that has been conditioned by the world and is fixated upon the world. But deeper within you, there is a greater remembrance, there is a greater Presence, there is a greater connection with your Spiritual Family beyond this world, who have sent you here, on a mission, with a purpose to fulfill.